Stress is, without any doubt, one of the most important medical affliction issues of the modern world. The pressures and the unrelenting tempo of the contemporary life often lead to stress forming. With stress, a long and tedious array of medical issues also arises, many of which can seriously impact the health of an individual. Luckily, with the help of an app called DeStressify, anyone can find out how to combat stress and its effects in a really simple and easily understandable way. The app includes a diverse range of features. Its main programs are divided into five distinctive areas which include systems from calming the brain activity, finding emotional balance, exercises for energizing, ways of attaining joy and basic relaxations. DeStressify app features a system that teaches its users different techniques for visualization, a process of imagery used on a guided basis, visualization and much more. The app features videos that showcase how stress comes about and how does a body reacts to it. DeStressify provides a feature of scheduling exercises and activities that will help mitigate users manage stress and find ways of including these activities in the regular routines. Additional features includes audio-recorded meditation exercises and also systems designed to advance a person’s mindfulness, all of which are very accessible and excellent for achieving a deeper state of calm and relaxation. Covering both audio and video, DeStressify includes more than 45 exercises that were made by the most eminent experts in this field, including psychologists, Ph.D.’s and medical doctors. From a purely technical point of view, all these features are provided for maximal usability. The app features a reminder system for all points in the user’s schedule, a recorder for the stress levels that can be used to measure progress, and also a way to invite friends to join them on DeStressify. All options are clearly visible and instantly provide users with the core 14 essential practices for releasing relieving stress and finding that crucial balance of emotions. Through them, users will gradually find, like neuroscience provedhas proven, that their patterns of thoughts and feelings begin to change for the better, no matter what obstacle they face in their career, health or relationships. Aside from its many advantages, the biggest thing that this app offers, which also makes it stand out from any competitors, is its customization features. DeStressify allows its users to practically customize any part of the app, starting from their home screen, all the way to the app’s specific features. Also, users can add to the app their very own practices in video or audio formats. Other similar apps simply cannot compete with this level of customization. DeStressify was envisioned as a bold and ambitious application, but it managed to deliver on all fronts. 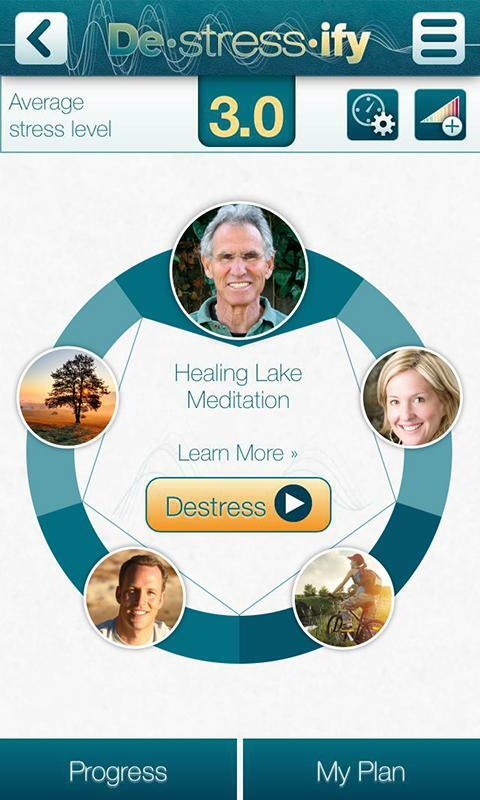 With this app on an Android mobile device, anyone anywhere can find a stable and reliable means of overcoming stress through working towards a state of balanced emotions and feelings.